Humans have been involved with the practice of mindfulness meditation for thousands of years: It is the art of being completely engaged in the present moment. Lots of people don’t realize that the drum has belonged within the practice of meditation for thousands of years. The drum has been central to spiritual practices as old as 25,000 years ago. 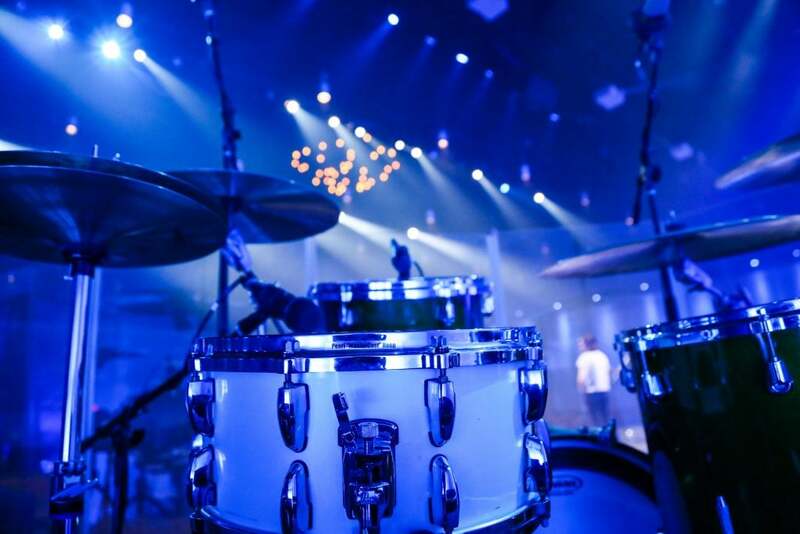 Although the modern drum set is not a conventional tool for mindfulness, the punctuated sounds provide a sharp focus that has the ability to bring instant, mindful clarity. Mindfulness is the activity of being completely engaged in the present moment. The mind is given the freedom to rest in a natural state of awareness and is gently undistracted from the persistent chatter of everyday life. Humans have been involved with the practice of mindfulness meditation for thousands of years. Meditation may conjure up images of monks having achieved enlightenment with incredible skill. The reality, however, is that mindfulness is a practice that can be learned by anyone. The intention of mindfulness is to draw the mind to focus on the senses. As a practice it is not about achieving a particular goal, but to simply be absorbed in what can be experienced in the here and now. It is not about having expectations to eliminate negative thoughts or sadness, but to be kindly accepting of any thoughts or feelings that arise during mindfulness. The mind is a story-telling machine. It loves to plan, scheme, look to the future, overthink past events, create storylines and organize itself in a way that isn’t always beneficial. And often what we do, and is so hardwired by our evolutional biology, is to fight or run away from painful thoughts and feelings. But instead of doing this, we possess the ability to train the mind to let thoughts come and go without buying into them tirelessly. Practicing mindfulness is very much a skill in its own right. It is developed and grown like a muscle. Regular practice will allow you to familiarize yourself with the sensations and the ability to ‘tune in’ to the present moment. What Makes Drums A Good Object Of Focus? Being able to fixate the mind on a particular object of focus provides continuity, reassurance and a quality of of calm. Rhythm is therapeutic. The consistency and stability of rhythm is able to alleviate stress and relax the mind. Rhythm provides the opportunity for awareness in a way that one can truly connect with. 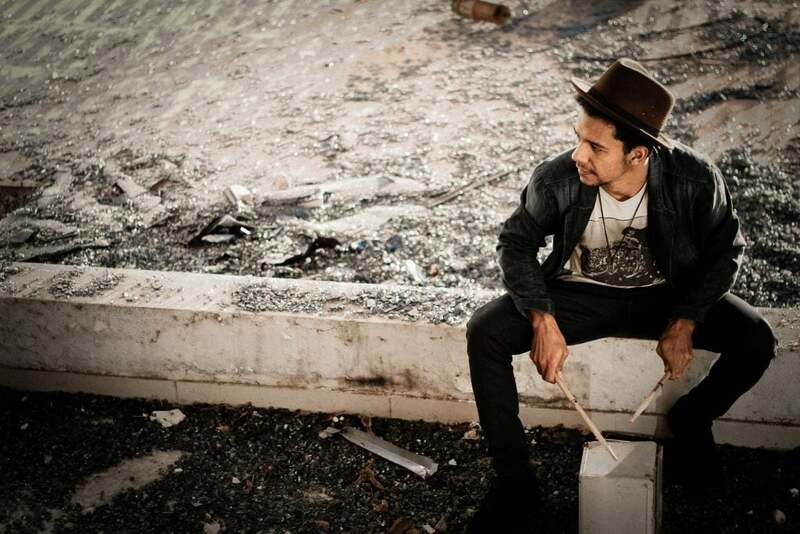 Drumming alleviates isolation and alienation, and helps to connect the mind to the sounds. The steady meter of a drumbeat is an object of focus that allows for an individual to connect with its timing, dynamics and both consistencies and inconsistencies. The distinctive sound qualities of the individual drums and cymbals provide a unique listening experience within each performance. Every time a drum or cymbal is struck it will speak with a different voice, depending on the dynamics and placement of the drumstick. Drums have a long history within Buddhism, and the drums and bells are considered profound tools for listening. Music is one of the 8 sensory offerings of Buddhism, with sound believed to attain compassion and wisdom. Playing the drums incorporates the entire body to work together in synchronization. Really paying attention to sensations of the limbs working together around the body is quite a powerful and all-encompassing experience. Playing the drums inherently feels good and is also proven to release mood-enhancing endorphins. Whilst focusing on the body with a curious mind and sense of openness we are able to feel and experience new sensations as they arise throughout a musical performance. Why Is Mindfulness So Popular? 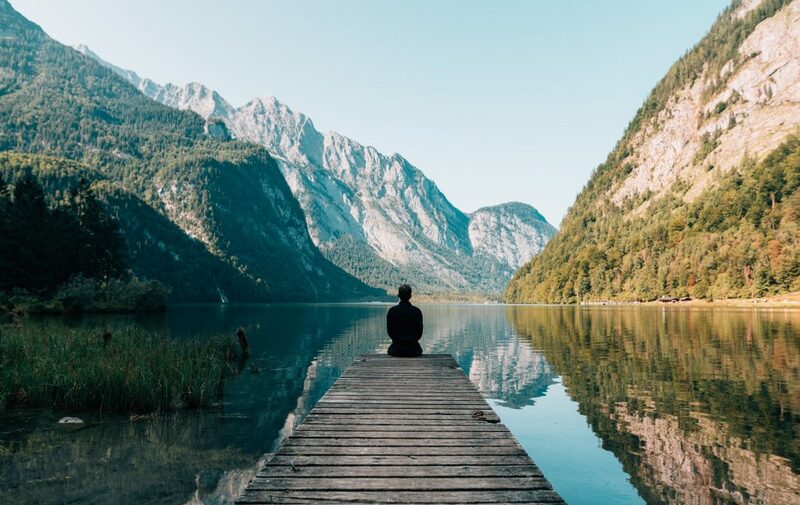 Mindfulness has exploded as a new phenomenon in the western world – with around 40 new peer-reviewed research papers being published each month. The US Marine corps has introduced mindfulness into its military training in order to allow soldiers remain calm under pressure, cognitively clear and mentally flexible. The NHS advocates mindfulness as advised by NICE (The UK’s National Institute for Health and Excellence) to help patients suffering with relapsing anxiety and depression amongst other illnesses. Professional sports teams and athletes around the world now endorse mindfulness as a powerful tool to allow them to perform at their peak whilst competing. Athletes perform free from judgment and expectation, whilst staying in the zone mentally, allowing for effortless and fluid execution of technical ability. It’s important to remember that mindfulness is not intended to ‘heal’ ills, but it’s essence of changing perspectives will help shape and form new experiences. Greater levels of energy and enthusiasm. More compassion, empathy and patience. Less danger of experiencing stress, anxiety or depression. Improved attention, performance and productivity. Reduced blood pressure and hypertension. Greater control of behavior and emotions. Regular mindfulness practice is scientifically proven to change the biochemistry of our body and is also responsible for reducing the brain’s stress response known as amygdala. Decrease amygdala activation – enabling you to feel more calm and relaxed in everyday life. Increase activity in left prefrontal cortex – which increases an overall sense of wellbeing. Increase brain grey-matter – in areas responsible for attention, emotional regulation and perspective. Increase working memory capacity – to increase productivity and performance. Mindfulness can be applied to all activities in life: it simply a matter of approach. The experience is to be fully aware of all the senses, to truly experience everything directly without judging the experience. But this is something that the mind will naturally find itself doing! As a practice it isn’t about achieving a particular goal, it’s simply about being absorbed in the present moment. Often people will attempt mindfulness with a host of expectations. These will range from wanting to get rid of negative thoughts, or having a strong desire to feel happy as a result of engaging in mindfulness practice. But with this approach it will be difficult to truly enjoy the pleasant sensations in the moment with a judgmental mind focused on results. The mindful approach encompasses themes of acceptance and a lighthearted attitude towards internal dialogue. At its core, it’s to be accepting of all physical and mental distractions, seeing them for what they are, and returning to direct present experience with a curious mind. As humans, we find ourselves constantly distracted in our day-to-day life, often not even realising how little attention we pay to the activities we perform. Whether it’s taking the dog for a walk, drinking a cold glass of water or eating a delicious meal. People frequently eat popcorn mindlessly whilst watching a film, or drive to a destination without much attention whatsoever. During these activities the mind is often completely distracted with thoughts. This is typical behavior of the mind. The mind is a story-telling machine. It loves to plan, scheme, look to the future, overthink past events, create storylines and organize itself in a way that isn’t always beneficial. At its core – the mindful approach is to not buy into negative storylines or distractions. But to allow them to come and go: seeing all thoughts as merely random occurrences, and allowing them to pass whilst maintaining focus on the breath and the body. On the surface it may seem odd for mindfulness and drumming to be intertwined, but dig a little deeper and you will discover that the drum has been used in spiritual practices for thousands of years. It is one of the most important components for meditative practice, and still to date, most Buddhist temples and monasteries use drums in daily practice. Zen Buddhists refer to the constant internal chatter humans experience as the “monkey mind”. The drum is an incredible tool of focus for the racing ‘monkey mind’ as and allows the body to be at ease with all the present sensations, thoughts and feelings. The all-body experience of drumming offers an excellent opportunity to experience a host of sensations from all parts of the body and to focus on each passing breath. 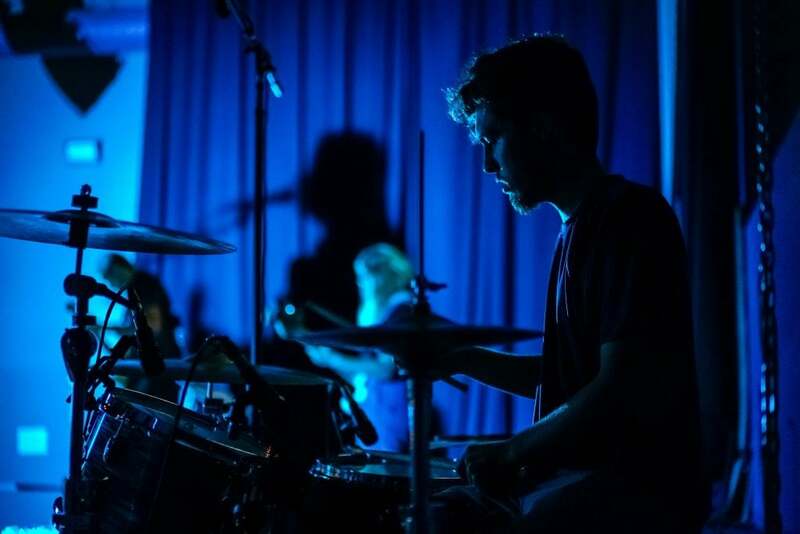 Immersing yourself in the present moment whilst behind the drum kit will allow you to absorb all the sounds and sensations, offering yourself full enjoyment of playing the drums. Performing free from judgment will allow you to play with an innate childlike sense of curiosity and joy that exists within everyone. The nature of the music industry is business-oriented and demands performance and strong results. This often brings unnecessary judgment, criticism and comparisons to the forefront of the mind. Mindfulness counteracts these by giving you the freedom to not have to engage in these thoughts, but rather to simply enjoy performing music. It can be easy to become distracted whilst playing the drums, and any random thought may arise and grab your full attention. But fortunately drumming is an activity that engages lots of senses that you can refocus your attention to. The etymology of the word rhythm originates from the Greek word ‘rhuthmós‘ which means to flow. The communication between the brain and the body whilst drumming generates an on-going stream of rhythmic consciousness. The powerful, punctuated sounds of drums provide excellent focus for the mind into a meditative and relaxed state, free from worry and fear. The drum’s unique sounds have endorsed their deep-rooted use within meditation practices. The brain can easily latch on to the penetrating sounds. Reduce tension in the body, and allow you to play with greater fluidity. Instill a relaxed concentration that allows you to engage your peak performance. Channel your innermost curiosity to allow you to enjoy new experiences as they unfold. Engage your beginner’s mind to reclaim an intrinsic joy that drumming provides. Be less likely to be overwhelmed by worries and anxieties on stage. The best part of mindfulness is that it does not require any tools or any particular framework to enjoy its benefits. As a practice it can be applied towards any of life’s activities! A great exercise to begin with is a short 10-minute breathing exercise, whilst sat on a chair or wherever else you might find comfortable. All that is required is to relax and focus on your breathing for 10 minutes, taking in deep breaths through the nose, and then exhaling out through the mouth. If possible, try and find a time and a place in order to remain undisturbed for the practice. Simply enjoy being still, and feeling the sensations in all different parts of the body. Scan down from the head to the toes, and with a curious mind really absorb all the sensory information without judging it. The approach to maintain is that there is no overall aim, nothing to control and nothing to push out of your mind by force. The latter creates the framework for a very rigid and tense mind. Try allowing thoughts to come and go naturally like passing clouds. The mind will often become distracted by thoughts but this is normal and expected. It is a matter of simply returning to the breath and gently focusing on it whilst allowing thoughts to come and go. By doing this you are training the mind to focus on the breath, and all the sensations involved in the process. The reality is that it may take some time for you to become acquainted with the sensations of sitting with the breath. The mind will frequently become distracted, but the approach is not to aggressively avert your attention, but to gently and calmly become aware of the breath again. Focus carefully on the weight of the sticks, and how the wood texture feels against the skin of your palms. 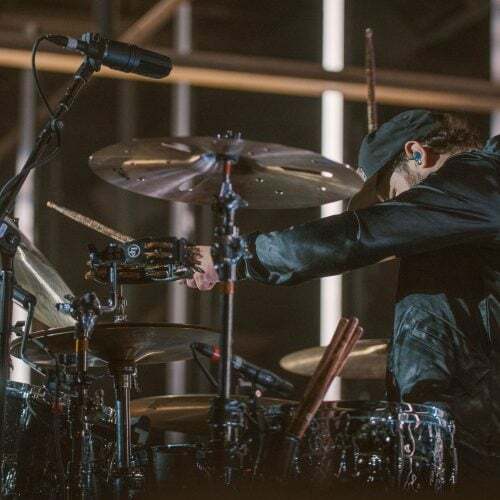 Notice what sensations are present in your hands and the wrists as they are in motion, and where you can feel the arm muscles being engaged as you play the drums. And experience fully what sensations you feel in your hands and arms as you hit the various drums and different types of cymbals. 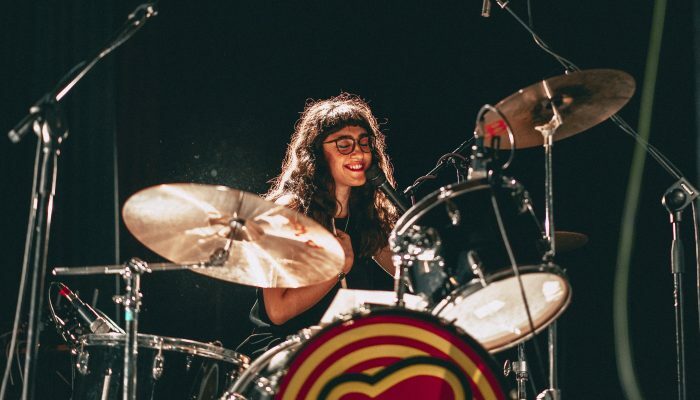 Notice the full range of motion of your leg muscles and the sensations you feel whilst you play with both the bass drum and hi-hat pedals with varying strength. Feel the power coming from your leg muscles all the way through the beater and being transferred into the bass drum skin. Listen carefully to all the instruments you can hear and their various timbres, pitches and frequencies. And listen fully to all the nuances of the drum kit. Notice the bright and metallic qualities of the cymbals, and the warm and resonant sounds of the drums. Absorb all the sounds as they arise with an open curious mind. Take in all of the space around you and fully absorb everything you can see with your eyes. There will be lots around you to see, whether you are playing on a large stage or in a rehearsal room. All humans are brought up with the concept that the more effort you put into something, the more you can expect to get out as a result. But for mindfulness this is simply not the case. The mind is very difficult to control, and in fact, the emotions that arise as a result of being unable to control the mind can quickly cause detriment. The reality is that we have very little control over what thoughts enter the mind. But what is important to remember is that its not the contents of a thought that matters – it’s our relationship with thoughts and how we choose to perceive them. Applying too much effort with the mind is like trying to carry water within your hands. You can try as hard as you want, but water will seep through your fingers. And a detrimental example of this is when people try to force themselves to sleep. It happens naturally, and at ease. If you try too hard to fall asleep, or put pressure on yourself to go to sleep at will, this will have the opposite effect. This does not mean that we have no control of our minds and thoughts, or the direction of where thoughts go. But if I try to tell you NOT to think about a pink elephant, of course it will still be impossible to not vividly imagine it. Mindfulness is often misunderstood as being far too good to be true. But it is very real, and freely available to everybody. The driving beat of the drum builds a rhythmic flow that creates an extraordinary feeling of calm, reassurance and movement. The punctuated sounds are easy to latch onto with your mental spotlight of focus. 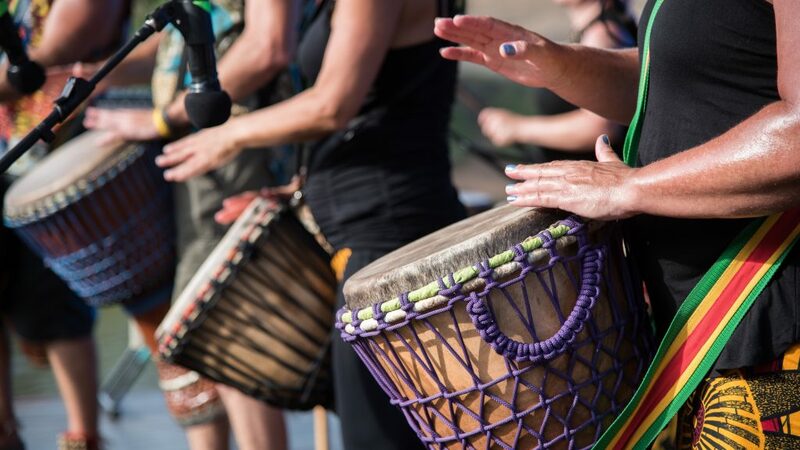 There is a multitude of physical and mental health benefits that are able to be experienced through mindful practice, and drumming provides the perfect framework to experience a host of new and pleasant sensations to explore. 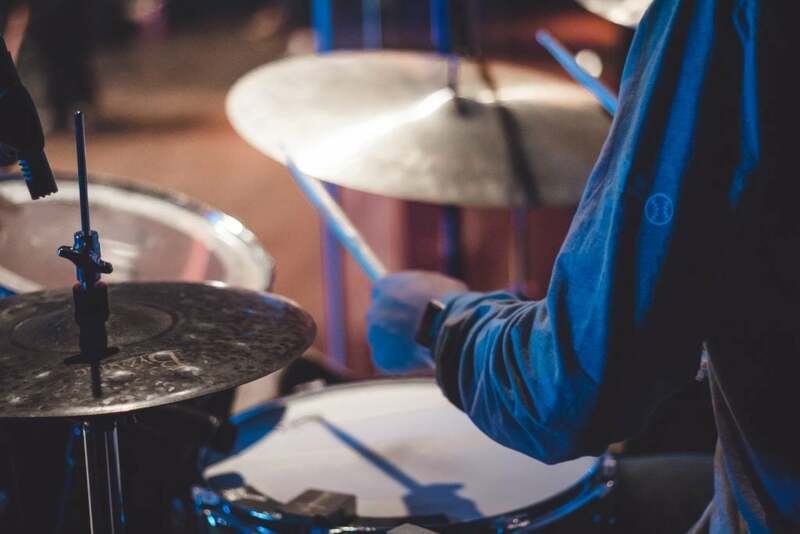 Carrying a mindful approach towards drumming has the ability to liberate you from worries and doubts that often cloud the mind throughout a performance. 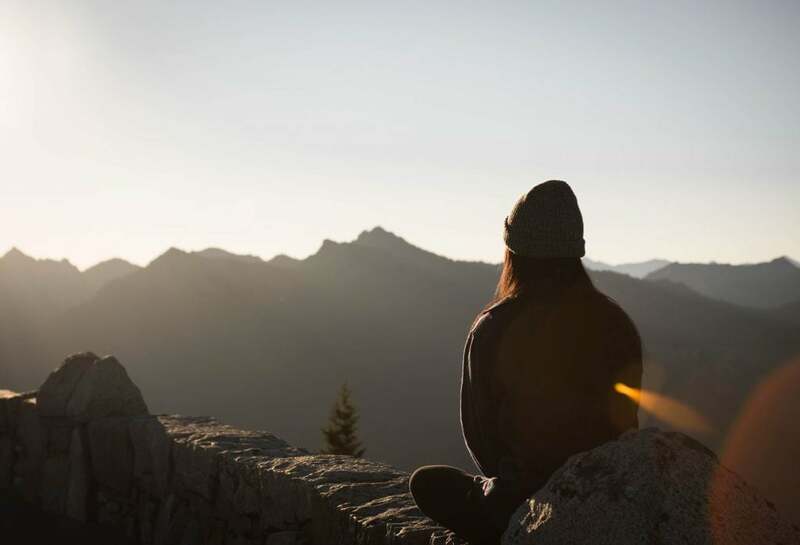 There is no right or wrong when it comes to mindfulness, the key is simply familiarizing yourself with what it feels like to be tuned in to the present moment. Mindfulness is a skill that is learned, developed and nurtured with time.